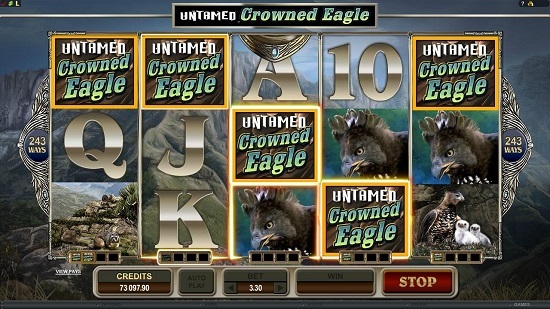 Another new release for Microgaming in March 2014 is the Untamed Crowned Eagle video slot. With stunningly clean and detailed graphics, this game depicts the beauty of nature and the elegance and power of an Eagle, all while keeping you entertained. The wide array of features, some of them patent-pending, really give this game that extra bit of quality you would hope for in a new video slot game. 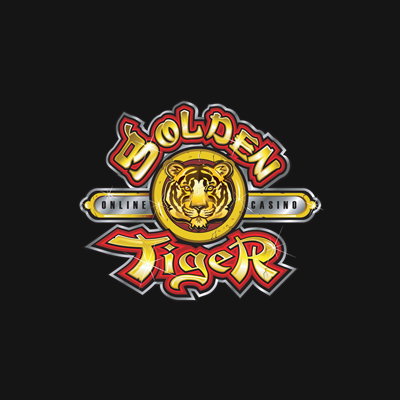 Untamed Crowned Eagle is a 5-reel video slot, with 243 different paylines. This seems to be the favored configuration for most of the newer video slot games, and it has proven to be a very popular one. With a top jackpot amount of £/€/$ 90,000 there is certainly a lot to play for as well. The game is suitable for players of all levels, and the wide range of betting will cater for the beginner that just wants to play 1 to a few coins each spin, all the way up to the expert who can play up to 22.50 a spin. Whatever your level is, there is plenty here to keep you entertained as you play, and the game has so many different elements to it that it is hard to ever get bored with it. 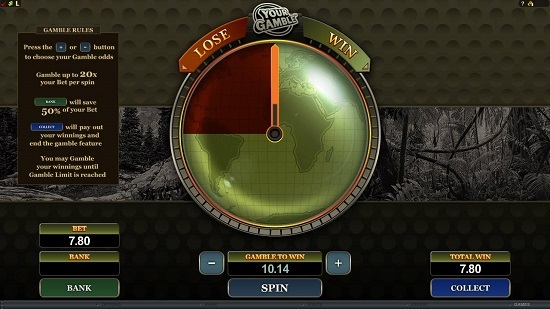 The Lucky Nudge feature will really have you urging it on as it appears on the reels. You will notice the scatter symbols will sometimes peek either over the top or underneath the edges of the reels. If this happens while there are two other scatter symbols already on the reels, then the peeking symbol may well nudge its way onto the payline, and activate the Free Spins feature. This is a great addition to the game, and gives it that extra bonus to look out for. 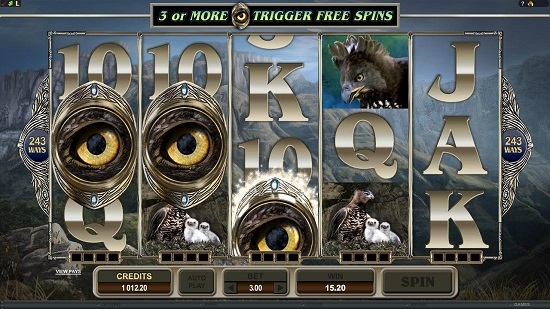 This theme-based feature of Untamed Crowned Eagle is exclusive to this game, and brings another exciting addition to the Free Spins bonus. When the Free Spins is in action, you may get a Soaring Wilds symbol fly across the screen. Each Soaring Wild symbol will have a random multiplier attached to it, thus increasing any wins you have during your Free Spins. Underneath each reel is a counter that adds up all of the ‘Wilds’ you get as you play. When a Wild symbol lands on a reel, a Wild token will be added to the counter for that reel. When any counter reaches 4 tokens, it will then turn the entire reel into Wilds, and these will remain this way for the next 4 spins. You can actually have up to all five of the reels in this ‘Wild’ mode, so huge potential here to hit some big winning combinations. Another great feature on Untamed Crowned Eagle is ‘Your Gamble’. This feature allows you to set your gamble odds. When you have any amount in your gamble box, you can decide how much of it you want to gamble. You can take any single win and gamble on it as many times as you like. You can also bank as much as you like too, so plenty of flexibility for you with this feature. This game has been really well thought out and delivered. The quality all round is evident as soon as you start playing it, and once you start hitting the main features of the game you will see just how many opportunities it provides for you to hit some great wins. You can play Untamed Crowned Eagle now at any of these quality online casinos.